Some readers may have already seen this, but adafruit has a great article written by Sifteo engineer Elizabeth Micah Scott about the challenges and trade-offs they encountered bringing their Gen2 product to market (full disclosure: I am an advisor for Sifteo). I really appreciate the candidness of the writing, and the openness with which they discuss internal design aspects that many startups would normally regard as highly secret sauce. Then again, they do some amazingly clever things with very light, cheap 8-bit hardware, and they have every right to be proud of their technical accomplishments. 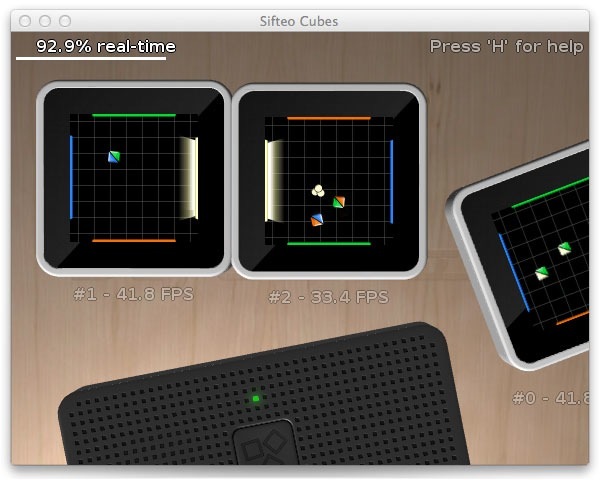 Sifteo has an SDK for those interested in developing for the platform. I highly recommend the read, check out the article titled “How we built a Super Nintendo out of a Wireless Keyboard @Sifteo” here. This entry was posted on Monday, December 17th, 2012 at 9:33 pm and is filed under Hacking, Ponderings. You can follow any responses to this entry through the RSS 2.0 feed. Both comments and pings are currently closed. I’ve been following Sifeo cubes for a while now, and while they’re still a cool idea, I cannot disagree more with the new design for the gen. 2 cubes. Put simply, I feel like they’ve lost a lot of power by ditching the host pc for an underpowered embedded cpu. Before there was huge potential for pulling data to/from the internet, doing image processing and leaning on all the awesome pc tools and libraries we already have. Now we’re restricted to this very limited environment and code sharing and reuse with non-Sifteo projects becomes much more difficult. My favourite 8 bit graphic optimisation was to convert sprites into assembly. You end up with a sub-routine per sprite that’s quicker than executing a generic copy from A to B routine. Takes more RAM, so you might choose to use it only on your space ship or Arkanoid clone bat and ball.